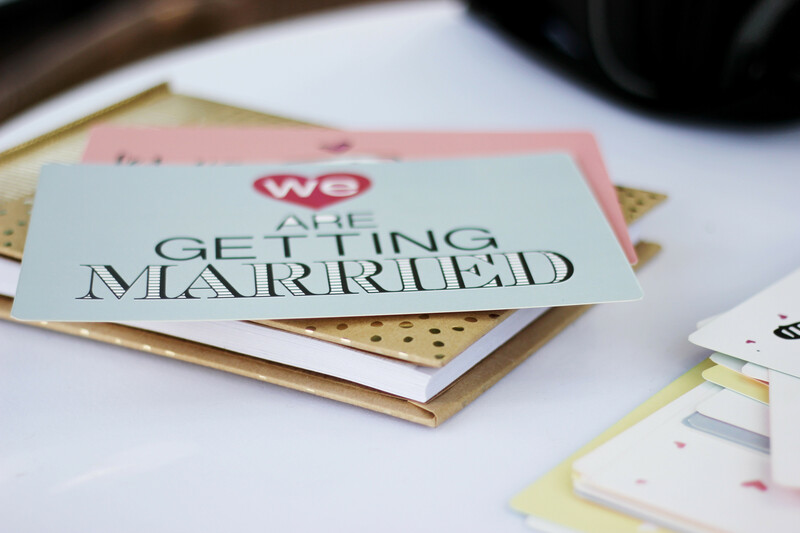 Choosing your wedding invitations is a vital step in the planning process. They give your guests the first taster of your wedding day so you want them to reflect who you are and what kind of day you are planning, not to mention something that gets people looking forward to an incredible event. There are some brilliant options for wedding invitation templates out there. You want gorgeous invitations to get your guests as excited about your big day as you are – without breaking the bank, of course! Luckily we’ve found some great free templates to get you started. This invitation uses lovely, fresh colours in the floral banner, which includes sweetpeas and pink blossom – perfect for an invitation to a spring or summer wedding. Simple but elegant font is easy on the eye and we love being ‘joyfully’ invited to the event. This template avoids being overcrowded by not using a border design and using words instead of numerals for the date and time makes it seem less official. Further details could be added on another sheet of card if necessary. If you’d prefer a more modern design, have a look at this elegant and minimal template. We love the contemporary take on a floral wreath – the geometric shape means it immediately catches the eye. It’s perfect for a sophisticated evening wedding. This can be used as a Save the Date or could be adapted to be the wedding invitation with a little more information on the back. The wording is more modern as well – instead of only the bride’s family hosting, as was tradition, using the phrase ‘together with their families’ sends a warm and inclusive message. We love this fun invite, which ensures all of the key information is there but does it using such a cute design that it doesn’t feel like you’re being overloaded with info. Using a variety of fonts keeps things interesting and the lines and arrows are a funky alternative to florals. This free wedding invitation template also uses more modern wording (‘along with their parents’) and conveys joy simply by adding in ‘happily’. Your wedding is a time for celebration – why not have an invitation that reflects that? Great for a marquee wedding happening in the afternoon. Are you planning a glamorous wedding day full of magic and enchantment? These invitations are perfect for you. Using a rich colour for the background immediately adds a luxurious feel to your template, as does using gold or silver for the wording. It looks like stars falling from the sky – such a gorgeous image for people to associate with your wedding. The more traditional wording in an elegant font tells people that this will be a stylish wedding that they won’t want to miss. A simple design, which is great if you haven’t 100% decided on your wedding theme – this wedding invitation template works for a rustic barn or tipi wedding as well as for modern neutrals with a laid-back vibe. The white lettering stands out perfectly against the earthy hue of the card. The bunting gives it a vintage feel and promises an authentic and fun event. The wording is kept to a minimum on this template but your guests will know where to be and when, which is all you need, really! Just looking at this invitation makes you long to be by the sea, which is exactly the effect you’ll be going for if you’re having a beach wedding! Using an image as the background of your invitation template is such a great way to convey the mood of your wedding – we like how it’s been slightly faded in this example so it doesn’t overwhelm the lettering. The font is elegant without trying too hard, and could be used over any image that’s suitable for your wedding. Clean lines, attractive colours and a romantic quote – what more are you looking for? We love the contemporary take on florals used for the corner designs in this free wedding invitation template and the font is simple and readable. Blue is a great alternative choice for colour , scheme and the golden yellow contrasts beautifully with it. The template could be used for a small modern wedding with a relaxed vibe. Very importantly, this template includes information on how to RSVP – always make sure this is clear to your guests to save you confusion later! A 1920s inspired design perfect for art deco themed weddings. This free template just oozes glamour and sophistication – imagine the excitement as this lands on the doorsteps of your guests. The feather fan design at the bottom adds the finishing touch to this elegant invitation that will have people already planning their Great Gatsby-styled outfits. The wording template ensures you cover all the necessary information effectively. Often wedding invitation templates tend to lend themselves best to spring or summer weddings, so it’s nice to see this option for an autumnal wedding. The colours used in this effective design wonderfully convey the crisp days of autumn and paint the picture of a romantic rustic event. Use the same colour scheme on the day for a cohesive theme. A perfect free template for the artistic souls among us. This unique invitation will be something your guests want to frame after reading! The mixture of cursive and upright font keeps things interesting and serves to highlight where the practical information is. Another nice thing about this template is that it will suit any wedding theme, meaning you don’t have to wait until you’ve finalized all the details before getting the word out. You can check out all of our stationery suppliers, many of whom offer customisable templates to print yourself, here.